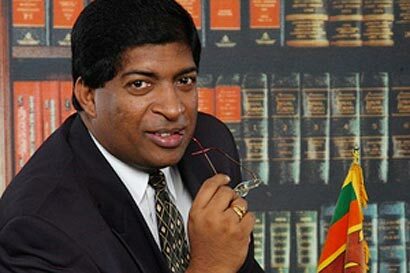 Colombo District UNP Parliamentarian Ravi Karunanayake charged yesterday that the government was trying to run the economy on casinos, taverns and brothers with the national economy in an absolute perilous state and moving without direction. This is the new CTB of the government. It is casinos, taverns and brothels and that is the way the government is running the open economy, despite all its cries of Mathata Thitha. Surveys have revealed that more and more women were taking to alcohol, Karunanayake said. The government has legalized the import of ethanol, which is a raw material for the production of alcohol, he said. The public debt is Rs. 7,251 billion and small and medium scale enterprises are going out of business with over 25 per cent of them already closed down. The national revenue, as a percentage of GDP, has declined by 11.5 per cent and a further Rs. 9 to 10 billion is needed to finance the Balance of Payments, Karunanayake said, adding that due to the much hyped hedging deals, the government was now saddled with the liability of another USD 60 million to Standard Chartered Bank, while the major power projects such as Norochcholai and Kerawalapitiya, had failed to bring down the cost of power generation. All the major infrastructure projects of the government had become white elephants, MP Karunanayake said.